Are you a healthcare professional trying to figure out how to work for yourself? Even if you aren’t, you might be struggling to figure out how to use your existing skills to work on your own. Lindsay DeHass figured it out for herself. She’s a naturopathic doctor who recently started her own practice in New Hampshire. She’s a fully licensed doctor, but her approach is much more integrated than traditional Western medicine. She decided to go out on her own for two reasons: 1) to have more control over her schedule and 2) to have a closer relationship with her patients. Here’s a quick snapshot of the path she’s designed for herself as a naturopathic wellness solopreneur . . .
After just one month she already has enough patients to financially sustain her business. Yah! She now has complete control over her work schedule. Currently, she is brainstorming ideas for courses, so she can generate passive income. I have to say, as I listened to her, she sounded like an old-timey doctor, but with a unique modern twist. I think we are all trying to find that balance between our humanity and the technology that is enabling us to create new work opportunities. 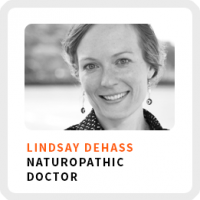 Starting a solo practice: How to become a naturopathic doctor. Reframing your mindset: Holistic versus reductionist perspectives. Living your story: How to be more authentic. And read below for Lindsay’s special offer for all listeners of the Life Skills That Matter podcast! Wake up time: Varies between 6am to 9am; just after she wakes up she prays and then writes in her journal. Core work habits: Stays in touch with herself and builds very simple systems. Wants to meet: Someone who is super web savvy and knows how to develop online courses. Unproductive habit: Wants to spend less time answering email. 90-day goal: Create 3 programs. If you are a healthcare professional seeking a path to self-employment, Lindsay offers the following advice . . .
1) Find examples of work and business models you like. When you start looking for it, you’ll see it. 2) “Do not act until the mud clears.” As you discover self-employment opportunities that resonate with you, take your time committing to a new path. Embrace the process of self-discovery, until you gain a clear understanding of what it is you are truly seeking. 3) Journal daily. Writing each day as Lindsay does will help you slow down your thoughts, so you can pay better attention to your needs. 4) Be authentic. Lindsay defines being authentic as not only staying true to yourself, but also doing what you really like and getting what you really want from life. What is a natropathetic doctor? Call Lindsay for a free 10-minute consultation about how you are feeling 206-364-1123. She is also offering a 3-minute consultation at the reduced rate of $19 for all listeners of the Life Skills That Matter podcast. To obtain either offer, just tell her you heard her interview on the Life Skills That Matter podcast!